Gone are the days of the phonebook. 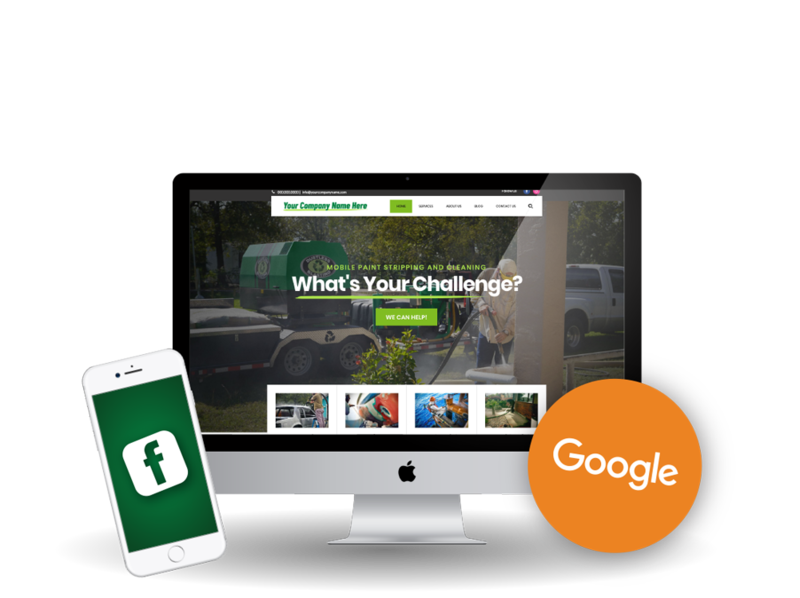 Nowadays, businesses need an online presence to be found by potential customers. 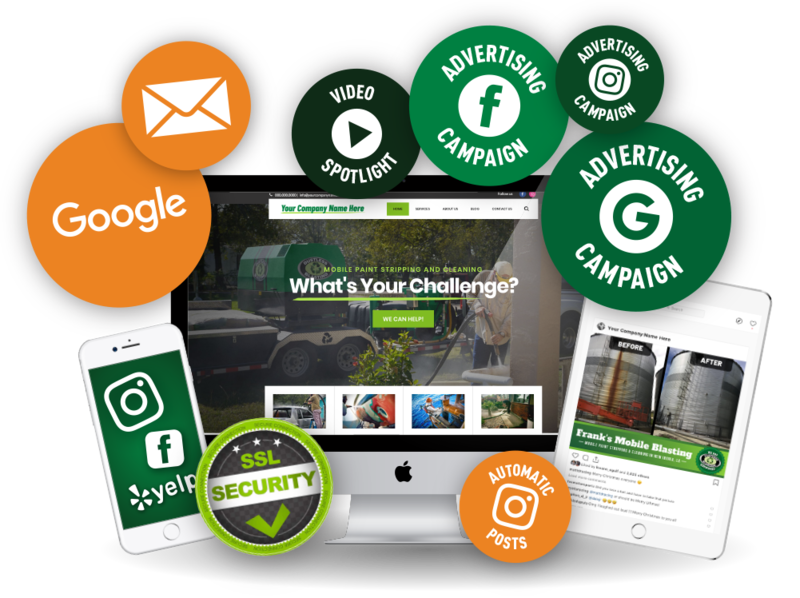 Explore the online marketing package below, and hover over (or click on) the various parts for more info. After your initial advertising period with the Premium Online Presence™, Advertising Renewal a great way to continue reaching potential customers. This can also supplement our older (pre-2019) marketing packages. Google ads reach will vary based on your location and keywords. However, it is usually similar to the social media reach. With the number of variables (location, time, keywords, etc) please keep in mind all metrics are only an estimate. Tell me about the cost. 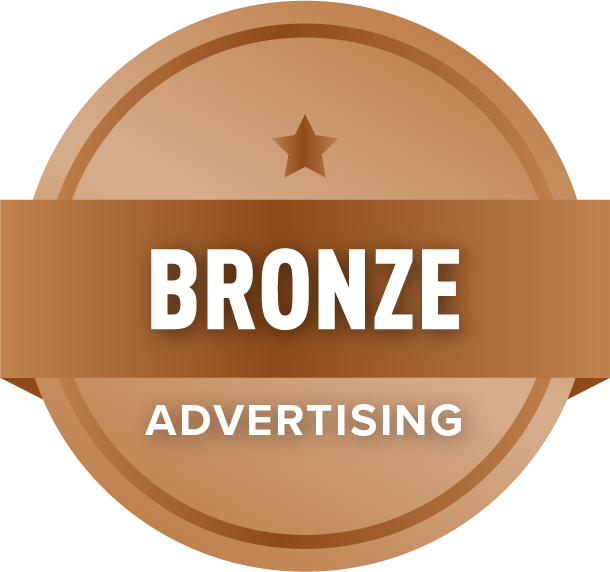 30% of the cost goes towards our time and management of the ads. The remaining 70% goes directly to advertising spending across Facebook, Instagram (if applicable), and Google Ads. How long do the ads run? 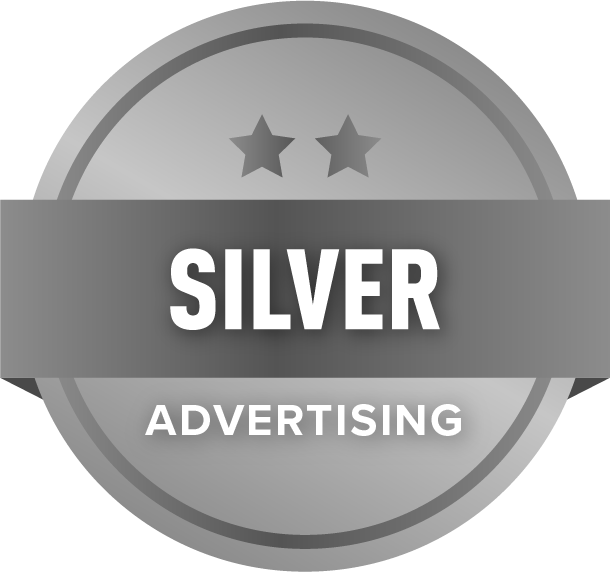 Ads will run anywhere between 14 and 90+ days, depending on your budget. 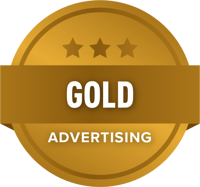 Do not think of the advertising packages in terms of a time frame, but in how many people you want to reach. Imagine you are sending out 10,000 flyers to your potential customers. You could send all 10,000 out on the first day. Or, you could mail them out neighborhood by neighborhood, over a period of several weeks. At the end, you've still reached the same amount of people, it just took different amounts of time. This is the same concept. We can recommend an optimal time frame for each of the packages above. Who is eligible to purchase these? 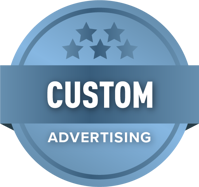 Pre-2019 Complete Marketing Package ($10,000 MSRP). 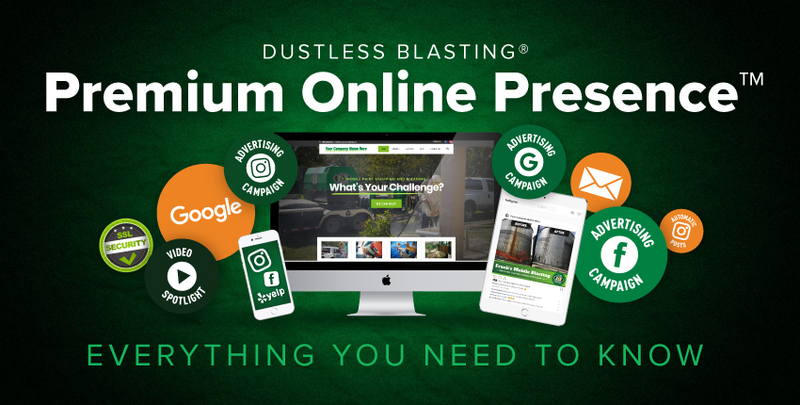 Currently, the Dustless Blasting® Basic Online Presence™ package is ineligible for Advertising Renewal.